Just read this headline out loud to BUMD to determine whether or not I'd be going to hell alone. Guess I'll have company. You say "Vintage,", I say "Junk Yard." This definitely conjures up images of violence and dictionaries. 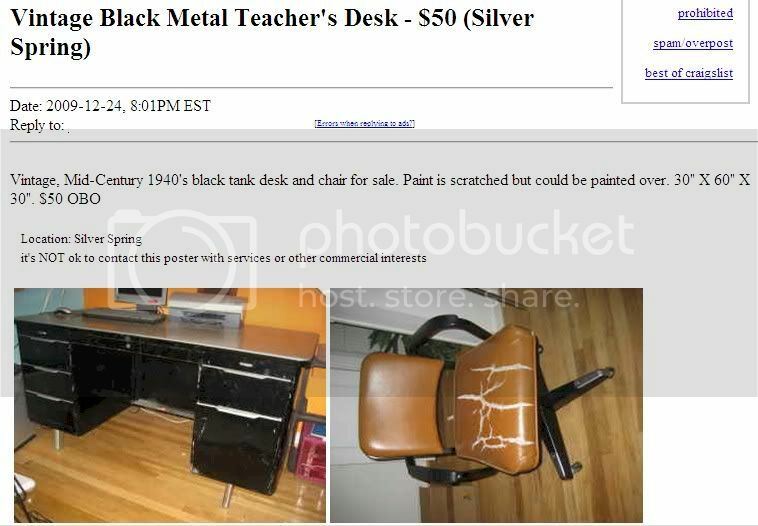 Clearly English isn't the seller's first language (at least, I hope not). Kudos to them for learning a second language. Sheesh - even the extortionists are getting lazy. They may as well have posted this on Twitter. This looks like an article from The Onion. Alas, it's real. The headlines on this site are definitely made for the radio. Also, I love the WTF look on the kid's face. Priceless. Ok, kids, it's like this - when two nice end tables really love each other and get married, they can make coffee tables. Or something like that. 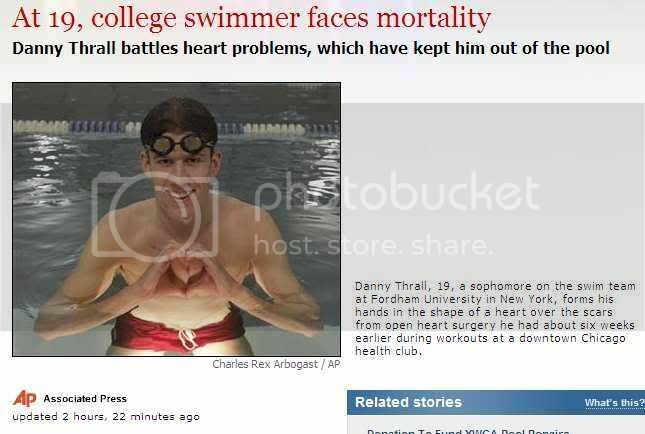 This is apparently outpatient surgery at it's finest - he had open-heart surgery during workouts at a health club? Now that's a dedicated athlete. Maybe their parents can pick up a copy of Strunk and White for themselves. I'd offer them a keyboard, but clearly their caps do work (if only for shouting). My brother's motto is "if it's free it's for me." I'll disagree with him here. 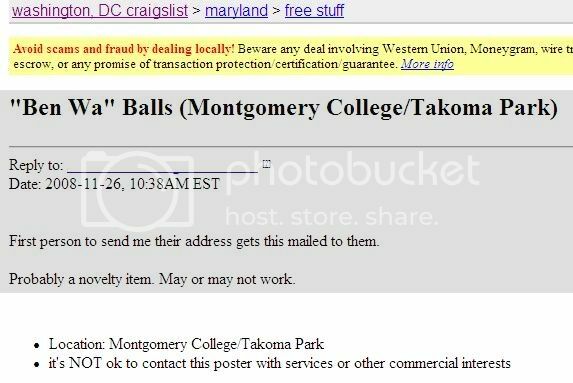 Craigslist has lots of great things, but this is one of those "risky" purchases they warn you about. At least they're free. Hopefully, they haven't been used. I'm guessing this is the case, based on the "novelty item" and "may or may not work" comments.